It’s Friday, so it’s time to once again gather around the ol’ MDPM blog for another client feature! Each week, we like to give a shout out to one of our amazing dental clients from across the country. We get to work with so many incredible dentists who do so many innovative things for their patients and communities, so it’s only right to give them a nod. This week, we’re calling attention to a client of ours in McKinney, TX. Dr. Chen, along with her practice, Illume Dental, is hosting an art show for a local artist. This is an awesome way to engage the community! 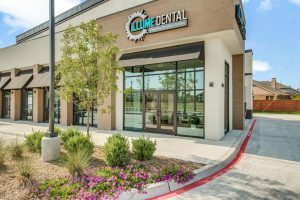 Dr. Chen and the Illume Dental team have established themselves as experts and quality caregivers in the McKinney area. That reputation begins by delivering quality dental treatment in a comfortable environment, but it doesn’t stop there. Dr. Chen is also very active in the McKinney community. Illume Dental is a member of the local Chamber of Commerce. Illume Dental also partners with Emily’s Place to give back to members of the community who are in need. Extending a hand to the local community is a great way to grow your network of patients. The upcoming Illuminate Art Show at Illume Dental in McKinney is an awesome example of finding unique ways to reach out to the community. Dr. Chen is using the space she has at her practice to give a platform to a local artist who can show off her work. This is a fun after-hours activity that encourages new faces to visit the practice and celebrate something valuable: local art. We love this idea, and we encourage our other clients to consider doing something like this at their own practice! How Can You Build Your Dental Practice Outreach? Dr. Chen was able to extend the positive impact that her dental practice has by finding causes that she was passionate about and pursuing them. It can be that easy for your dental practice too. If there’s a cause to which you’d like to direct awareness, try to create a partnership with your dental practice. Reach out to local charities and see how you can help. Then, use channels, like social media and your website, to promote these causes. In addition to doing good for the community, this also increases your visibility within the local community. This is an organic way to enhance your reputation and get to know more potential clients in the area. We’re a digital marketing team that focuses on dental practices. That means that we’re always looking for new and innovative ways to help clients grow their practice. There are organic opportunities for growth, like hosting community events! If you need help organizing your digital marketing efforts, talk to our team at MDPM Consulting in Dallas, TX by calling 972-781-8861.